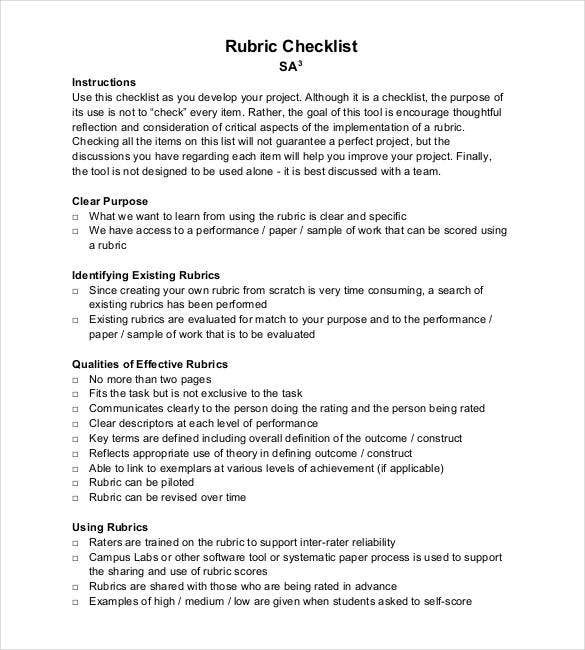 Rubric Template – 47+ Free Word, Excel, PDF Format Download! Teaching is ranked amongst one of the noblest professions of the world. But it is not every individual’s cup of tea. It demands attributes of patience, perseverance, and much more. Despite all the positives, teaching is a difficult endeavor. Over the years as the curriculum’s are changing, teaching methods are also being revised. 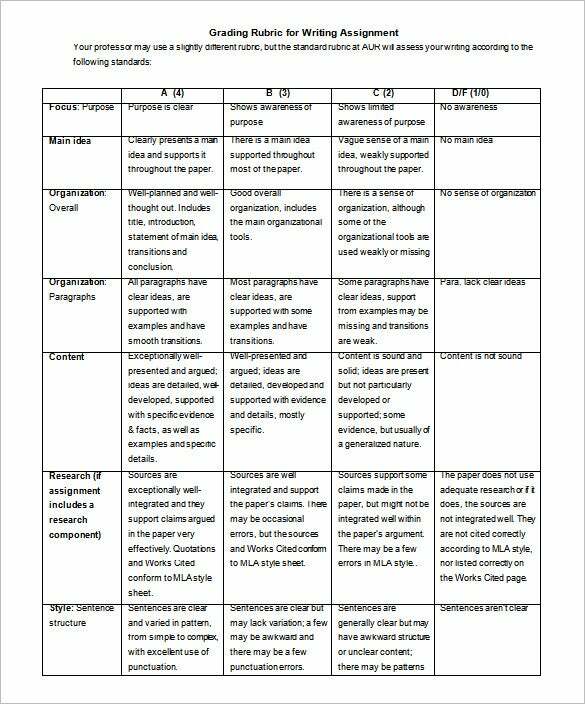 Off-late an effective teaching methodology which has become value popular with teachers is the Blank Rubric Template method. 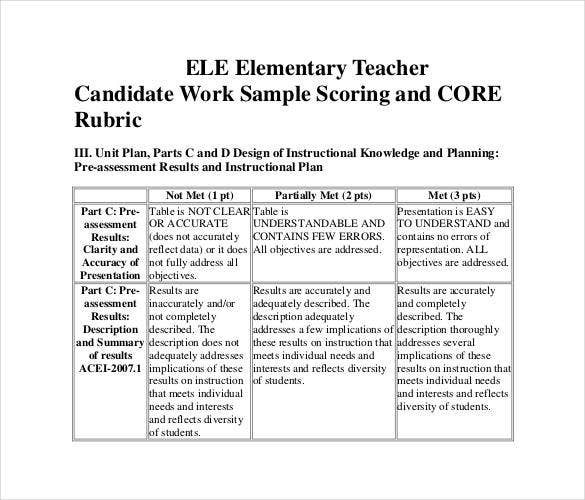 Teachers are seen using Rubric templates to simplify the teaching process. 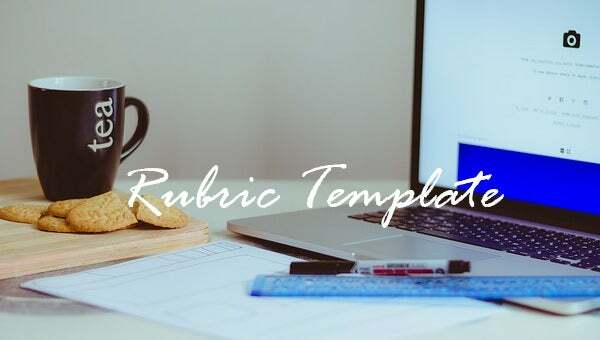 Rubric templates are very popular with teachers’ and for good reason. 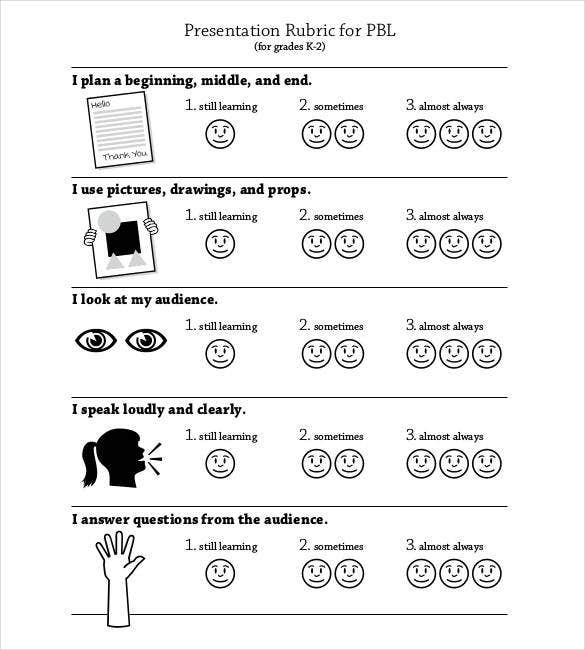 These templates help teachers’ conduct students’ performance assessment. The templates which you see here, all of them have a user-friendly format – including numbered column titles for each academic term. Rows are allocated wherein you can give rank or remark to students on different parameters. Writing a book review may not be every student or individual’s forte. 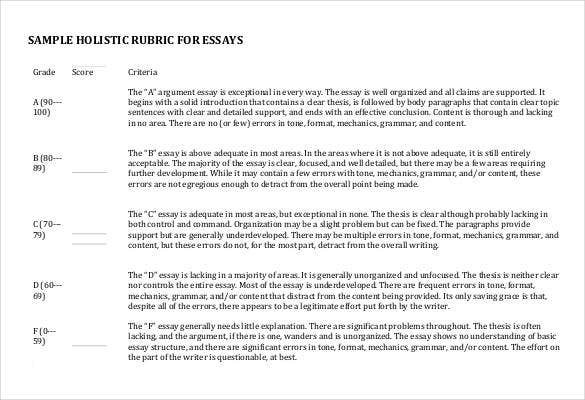 Good news is you can use specialized Rubric templates for book reviews. 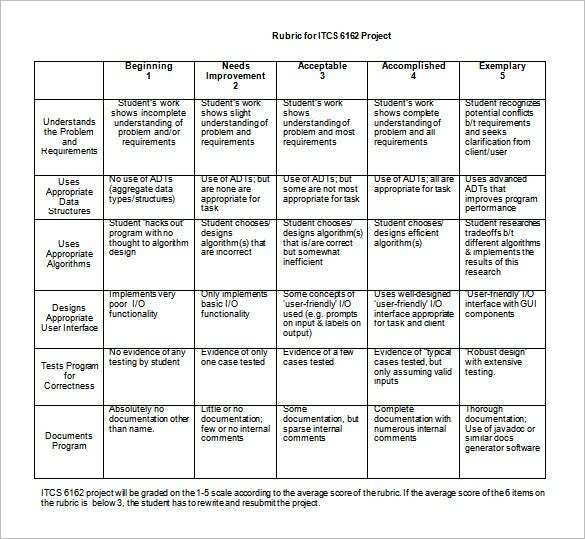 The format includes rows which have titles such as summary, exemplary presentation and other pertinent headings. Use these templates and prep a book review in a jiffy. 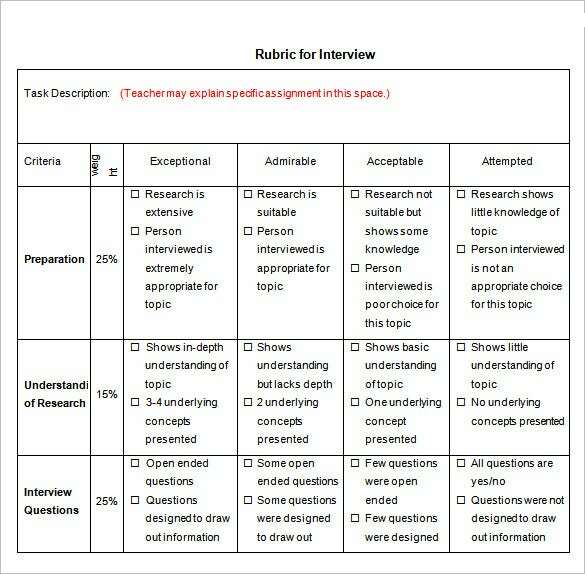 This next Rubric template format is for teachers that need a sample for their next class test or assignment. There are many formats available in this variety. 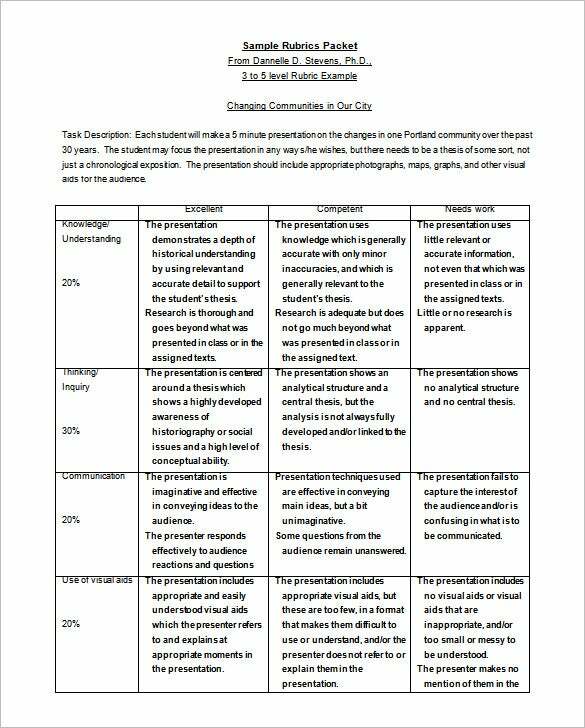 The templates lined up here come with editable rows, columns and text, which you can easily modify and insert headings and titles relevant to the assignment. Product evaluation requires grading. 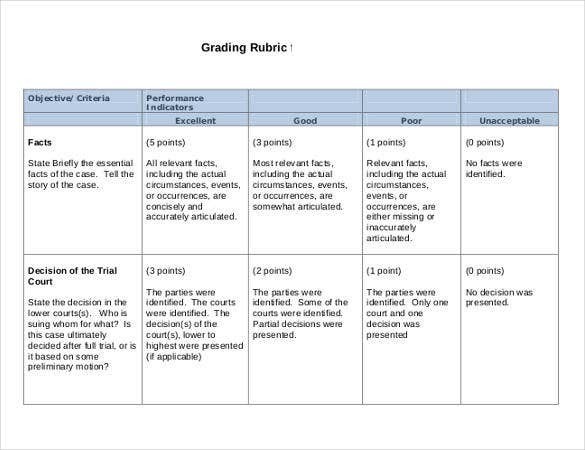 For this purpose we have created a variety of Microsoft grading rubric templates. The rows of these templates have the product details, and the columns can be filled in with the appropriate grading. You can also highlight the text, color in the boxes and edit these templates to suit your requirement. 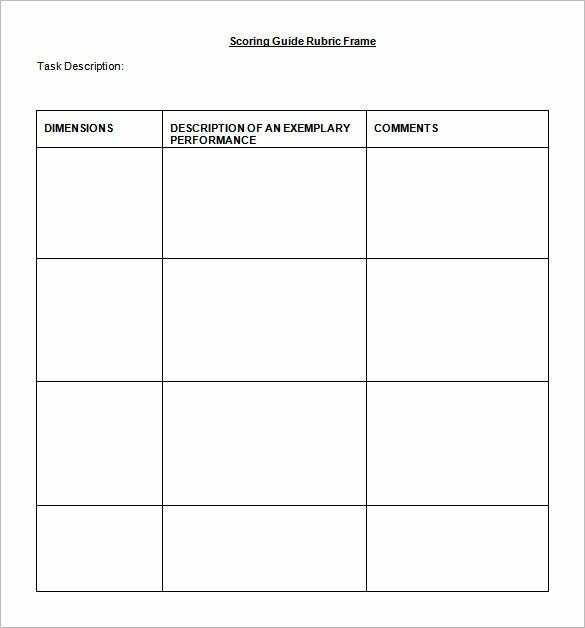 Our scoring rubric templates are perfect for sports fans that enjoy keeping track of the season’s games. You can add the team’s names, whether they have won or lost a particular match, the teams ranking and various other relevant information and data. Keep adding information as the season advances and be up to date with your favorite team’s scores! 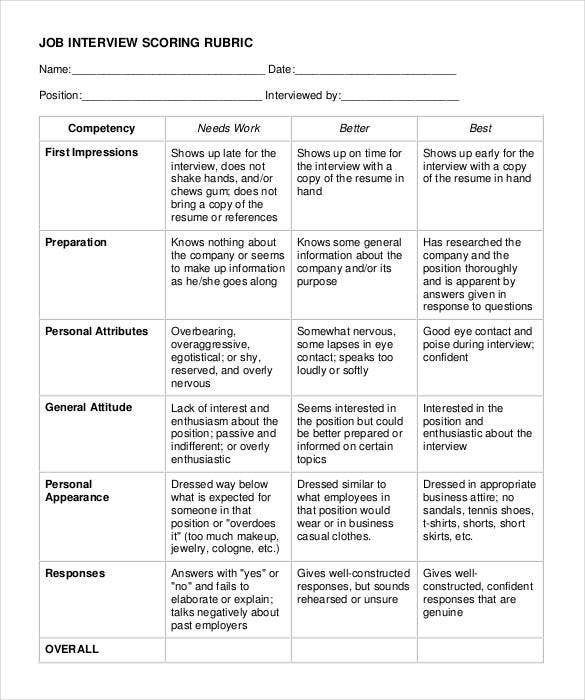 You can utilize a Rubric template for interviews as well. 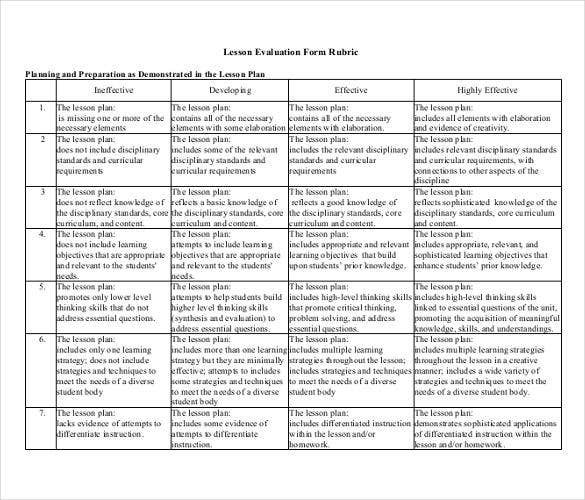 There are specialized Rubric templates available for that and we are showing a sample here. The template is very elaborate in content and an interviewee can easily rank or rate an interviewer’s performance on basis of multiple aspects. You can use the template for single or multiple candidates. 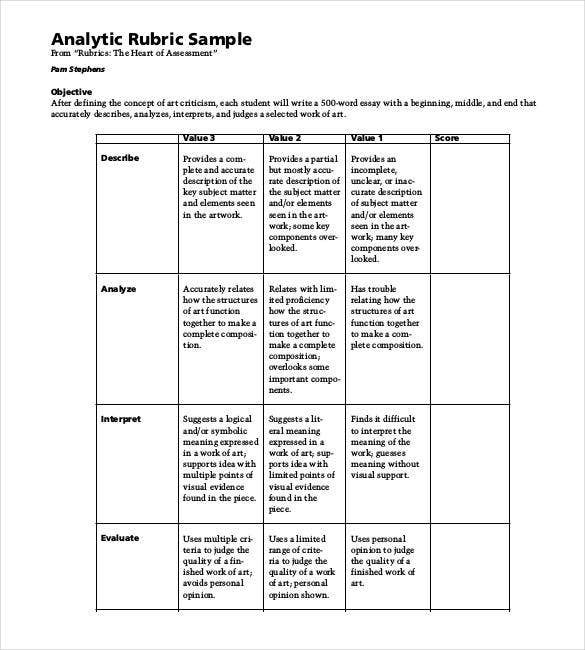 Our math rubric templates have been created for a variety of purposes. We have templates for integers, decimals and fractions, Ratio and proportions, properties and many others math related topics. The tables can be edited as per your requirement and you can choose the number of rows and columns that you wish to add. One of the best ways to learn is through projects. 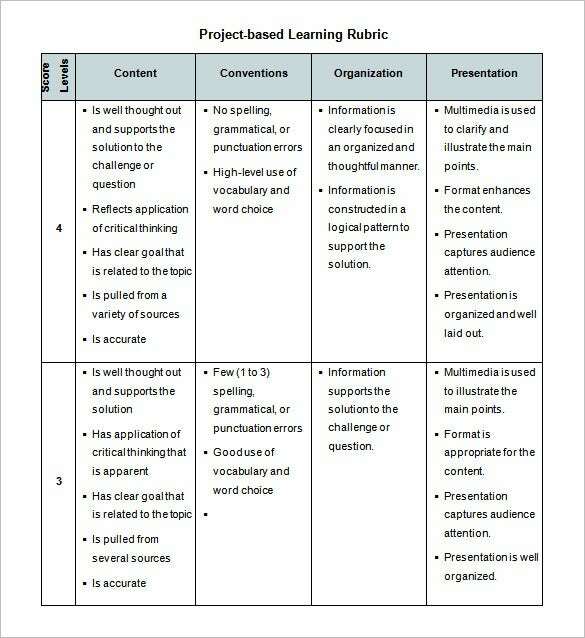 For teachers to be able give their student’s instructions and information, we have created project based learning rubric templates. The headings of the columns are divided into superior, good, fair and poor. These templates can also be edited and you can add additional rows, columns and change the table. 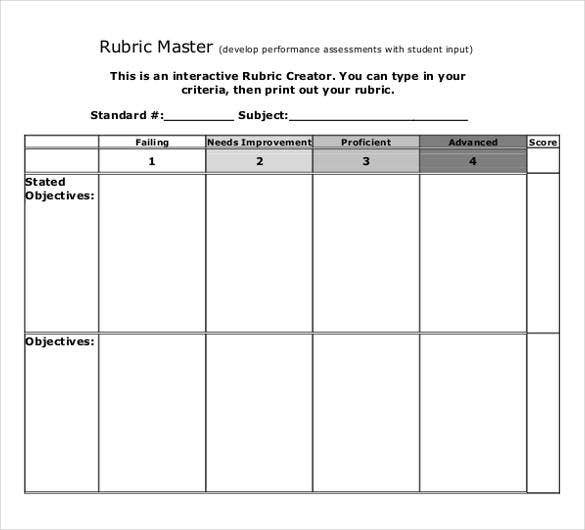 Most free blank rubric templates come with pre created titles, numbering and headings. In some cases, you require to add your own data that is relevant to the project you’re working on. 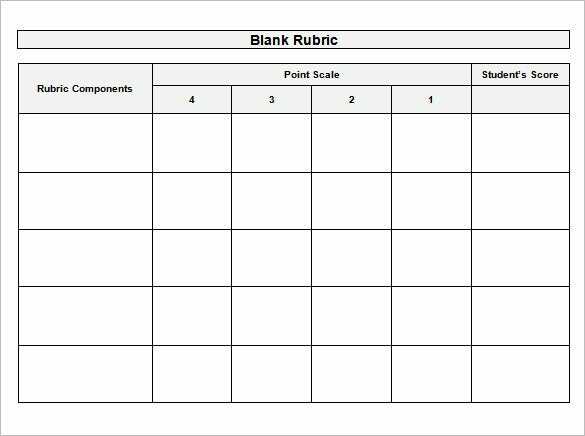 We have created a variety of blank rubric templates, which allow you to select a blank table of your choice and fill it in as per your requirement. 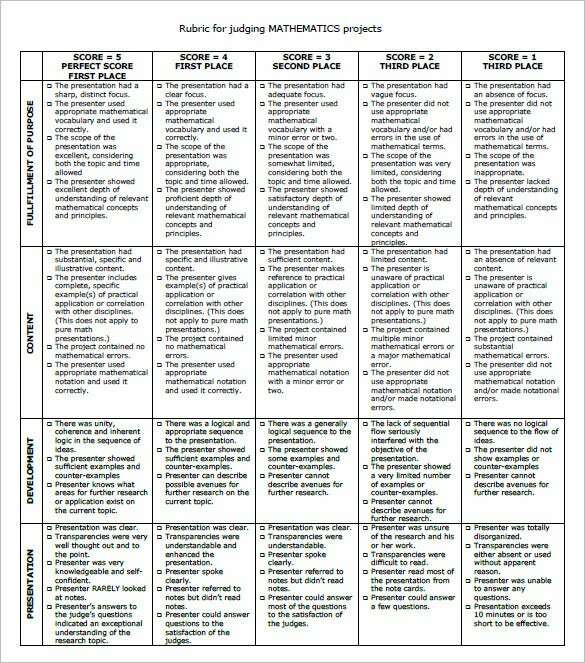 A Rubric template is just a tool created to make the life of every educator out there simple. 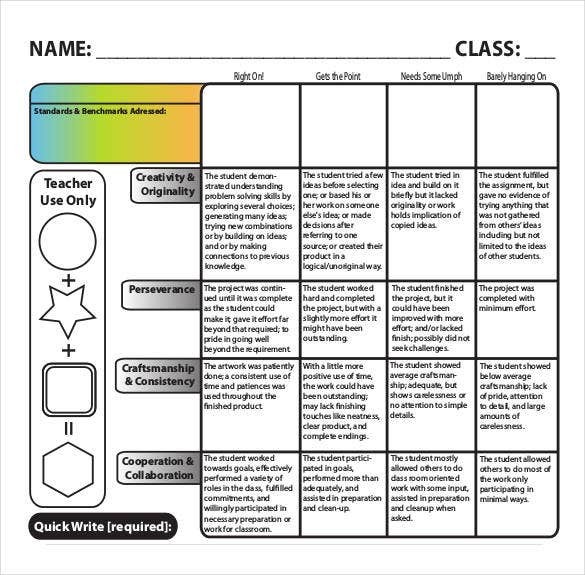 Teachers who have not used these before should think about using them because they are cost effective, not time consuming and are quite efficient for teaching. 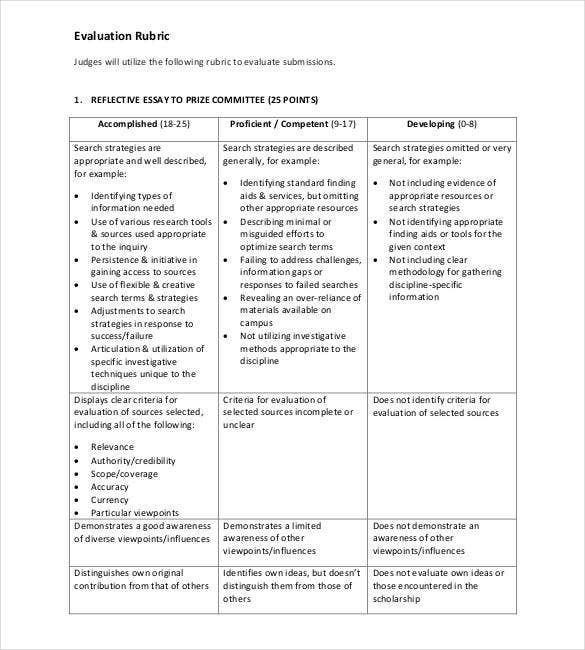 With the Grading Rubric Template, a teacher can assess the assignment of a student and note whether the assignment is quality and done beyond expectation or need improvement because of lack of flow and quality. 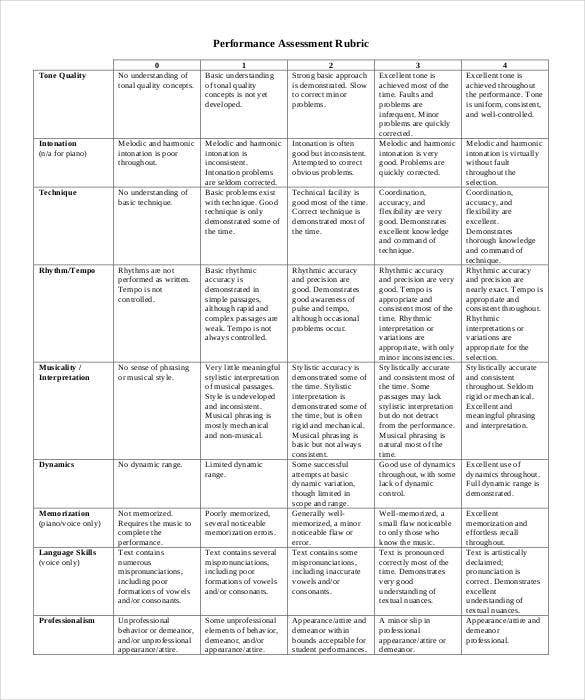 In fact, a Blank Rubric template is a perfect tool if you want your students to understand the assignment you have given them in the classroom. It further makes the process of grading the assignment faster, consistent, clearer and more objective. 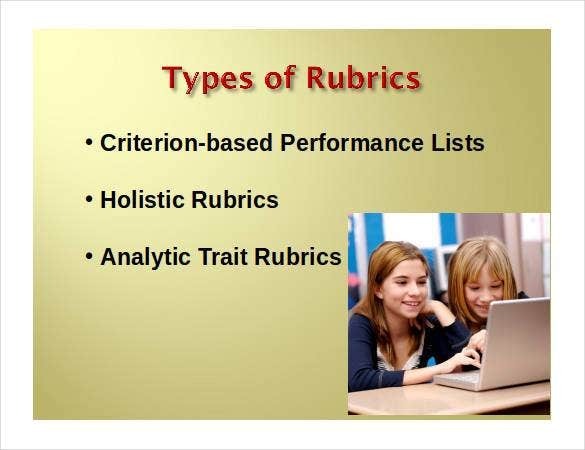 The problem is that the Rubric can be quite difficult to create from scratch. If you choose to go this way, you may spend a lot of time on the task. Life is easy though, so relax. 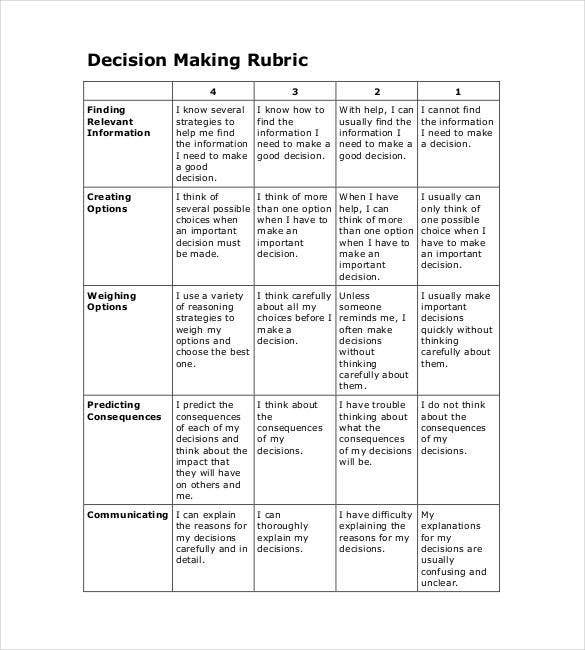 Just download a Free Rubric Template and use it as it. This saves you time for sure, and you do not have to waste your energy thinking too much about where to start. 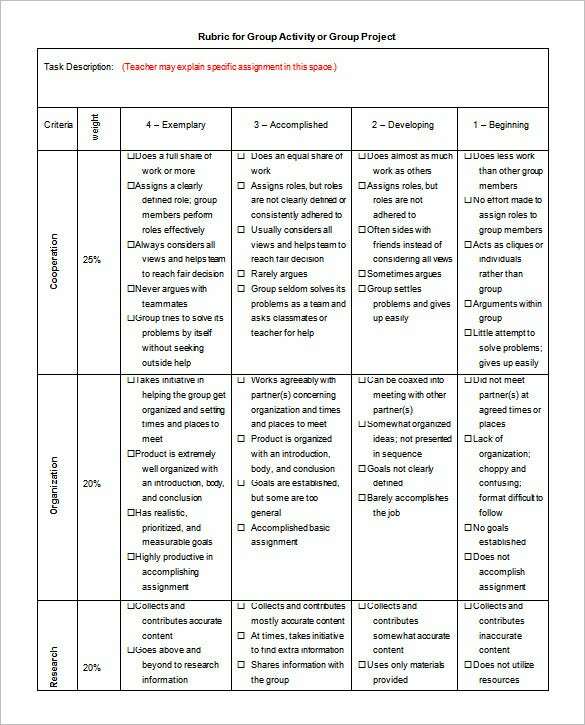 Need some help to design a rubric template to help you simplify the student assessment process? 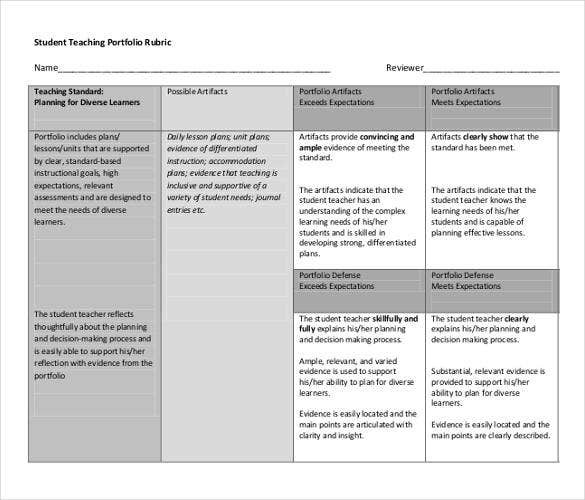 Well, check out our collection of Multipurpose Rubric Templates. These are designed by experts and adhere to the latest trends. 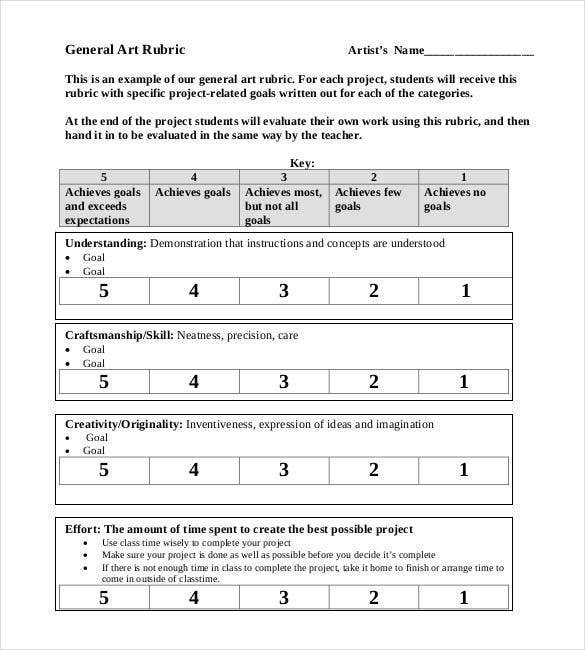 With these templates that are easy to download and customize, you can design your own rubric documents in a jiffy.